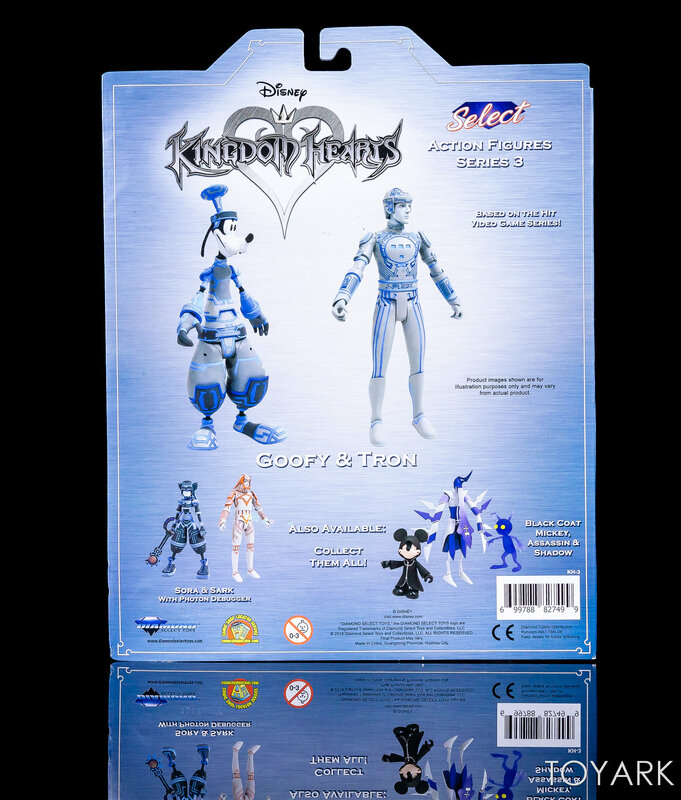 The figures are packaged in the standard “Select” book end style packaging. 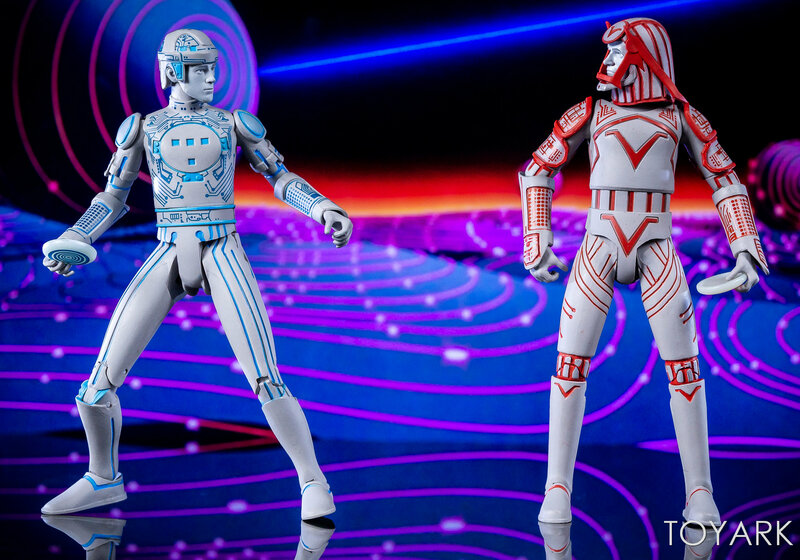 The figures sit in plastic trays held in by twist ties. 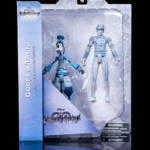 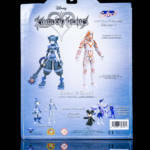 The only accessory included is a Keyblade for Sora. 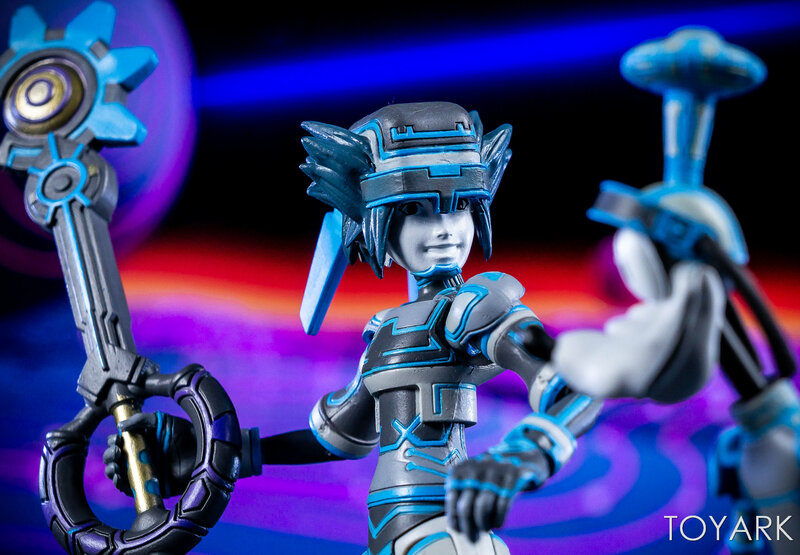 I was probably a bit over excited when these figures were announced. 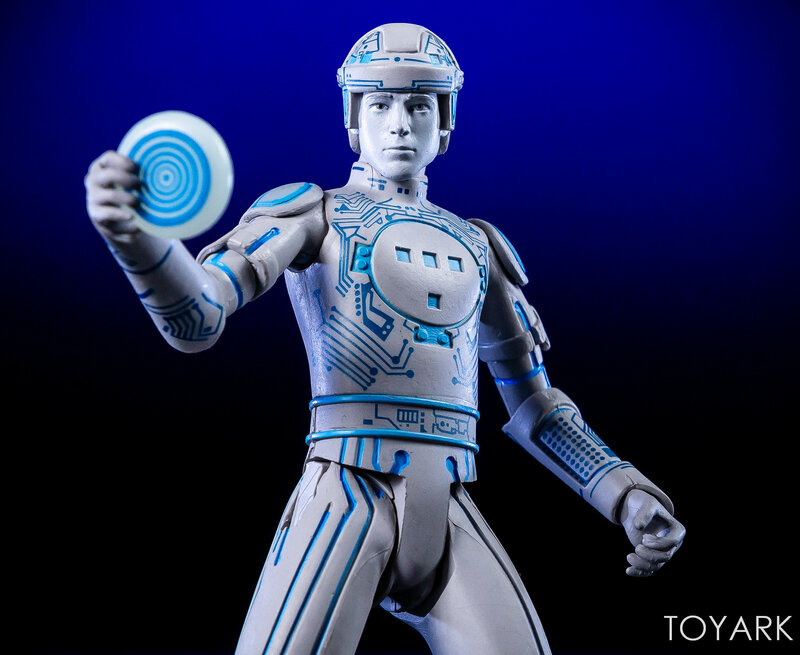 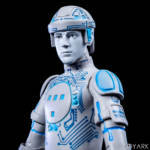 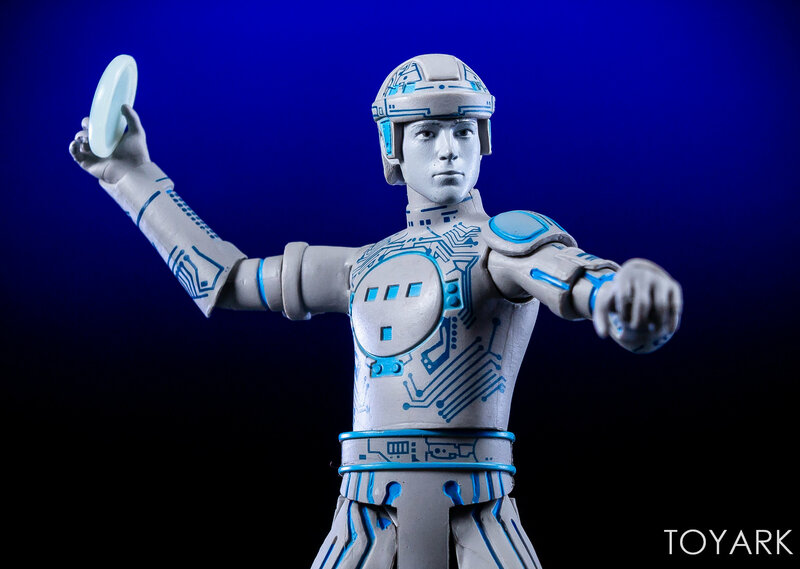 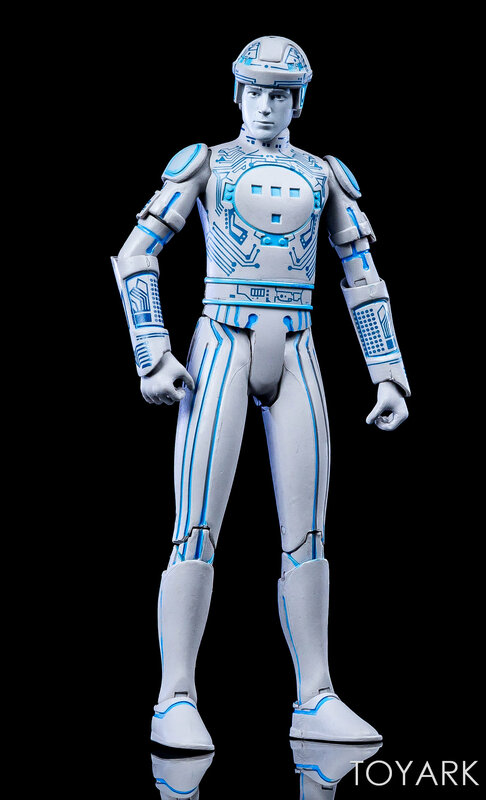 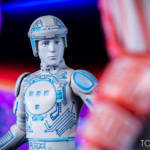 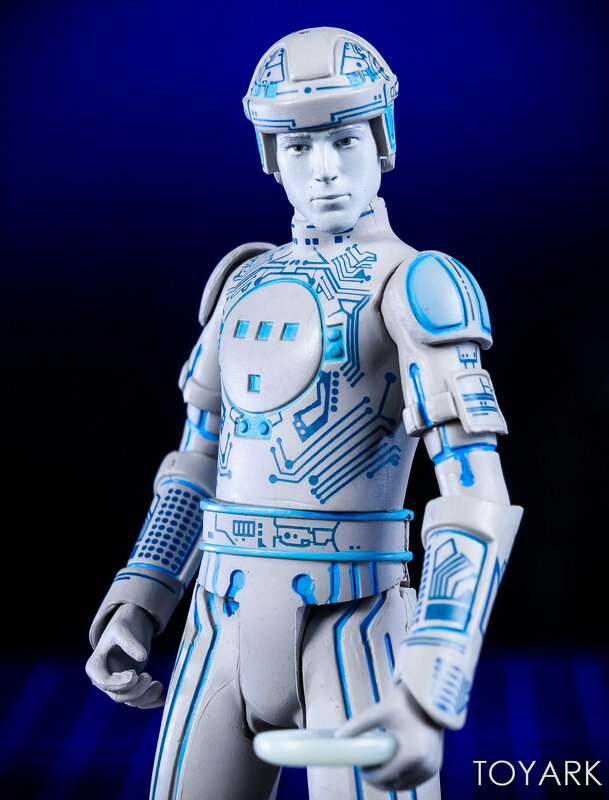 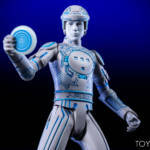 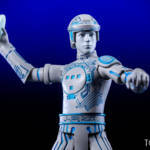 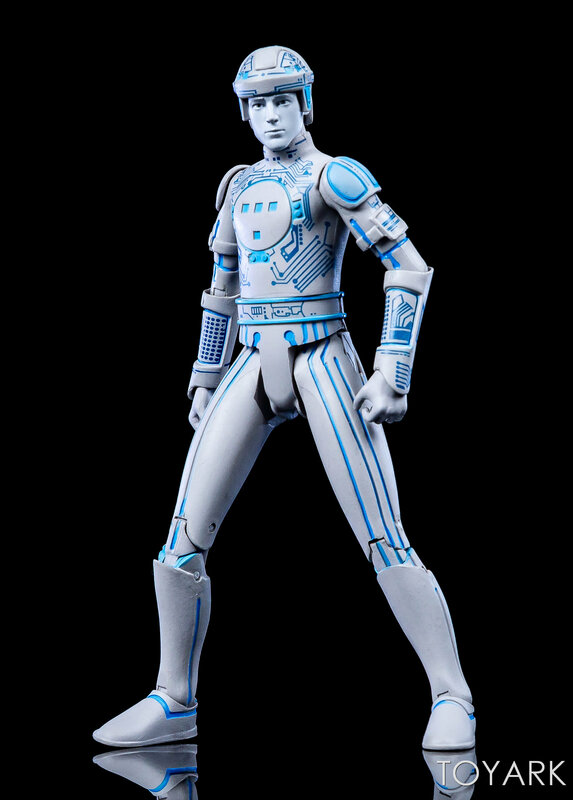 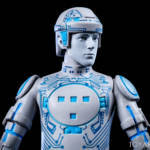 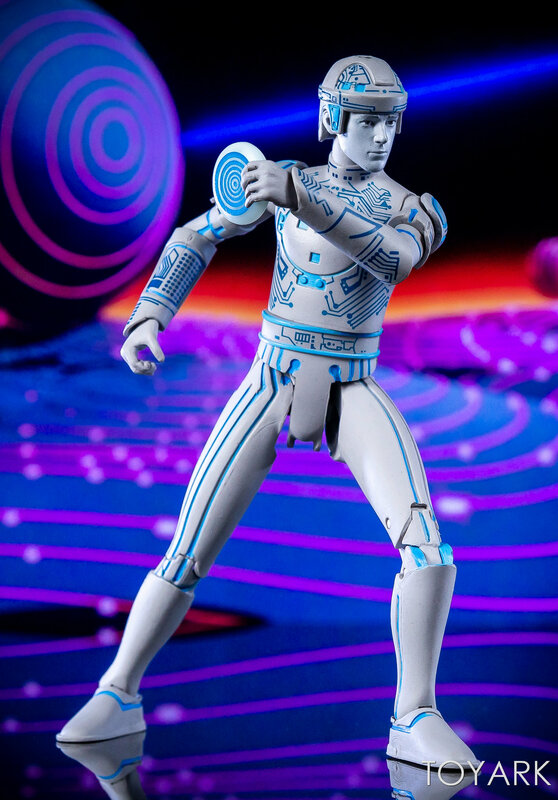 I had been hoping for reasonably priced figures from the original Tron for some time now. 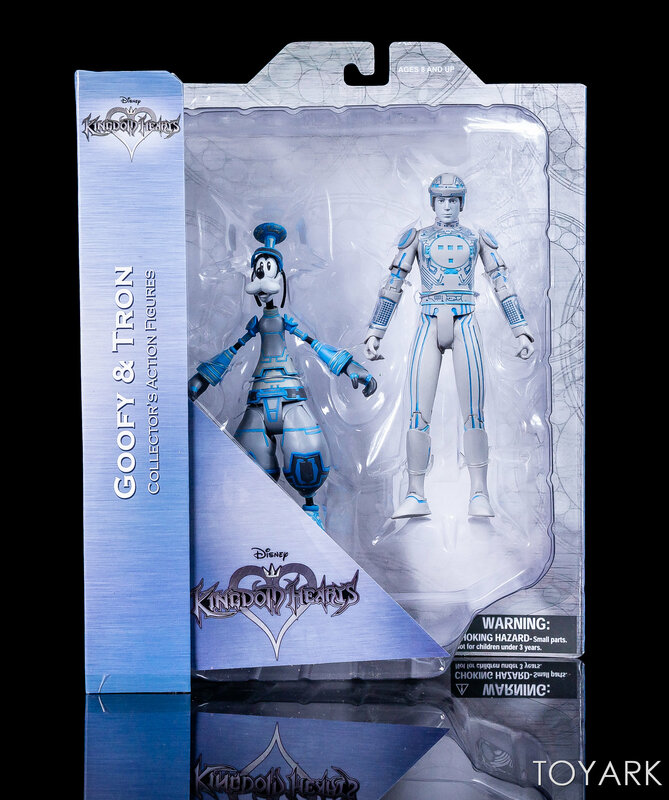 I feel it’s one of those licenses that, in the right hands, could be a hit with collectors. 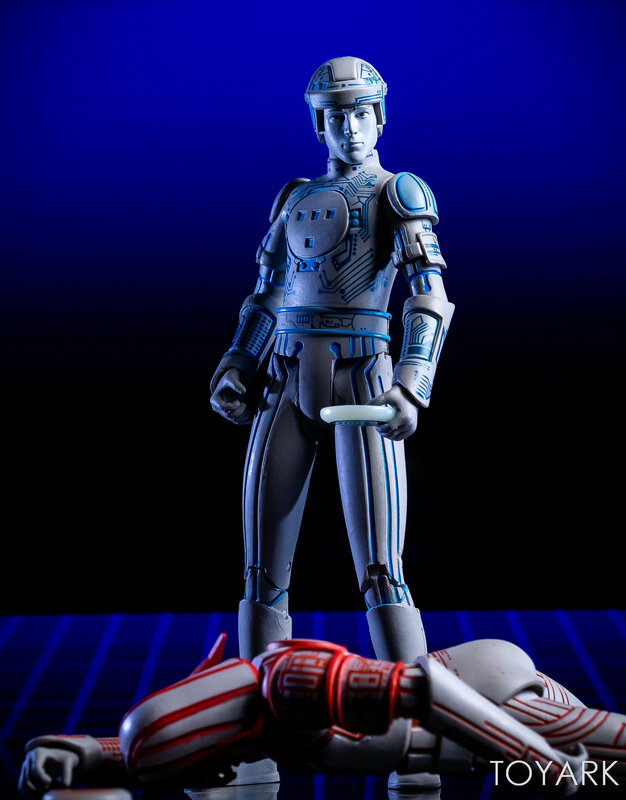 Based on sculpt alone, this is probably the best action figure representation of Tron and Sark from the original film ever made. 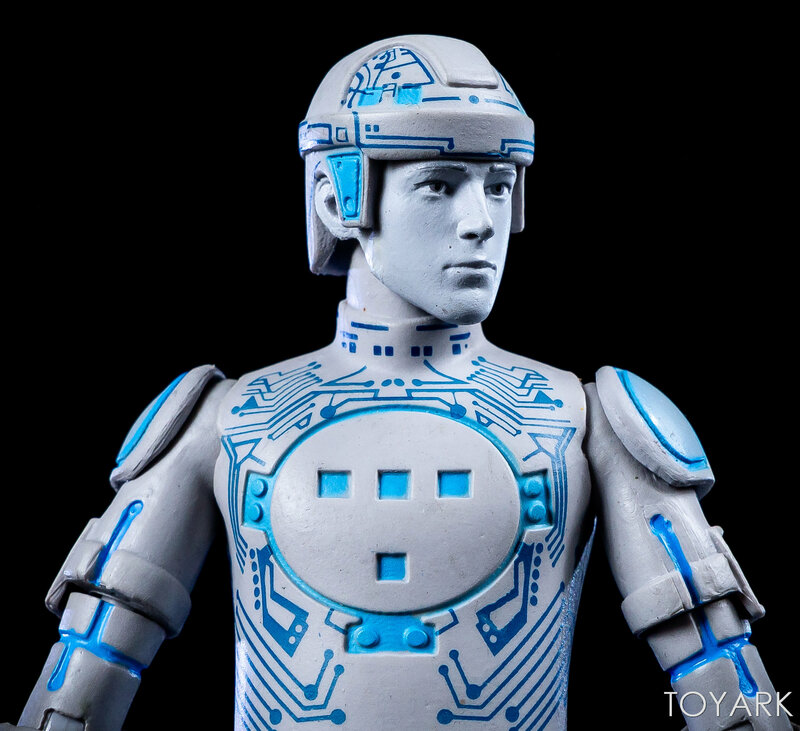 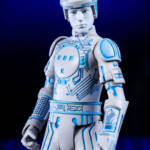 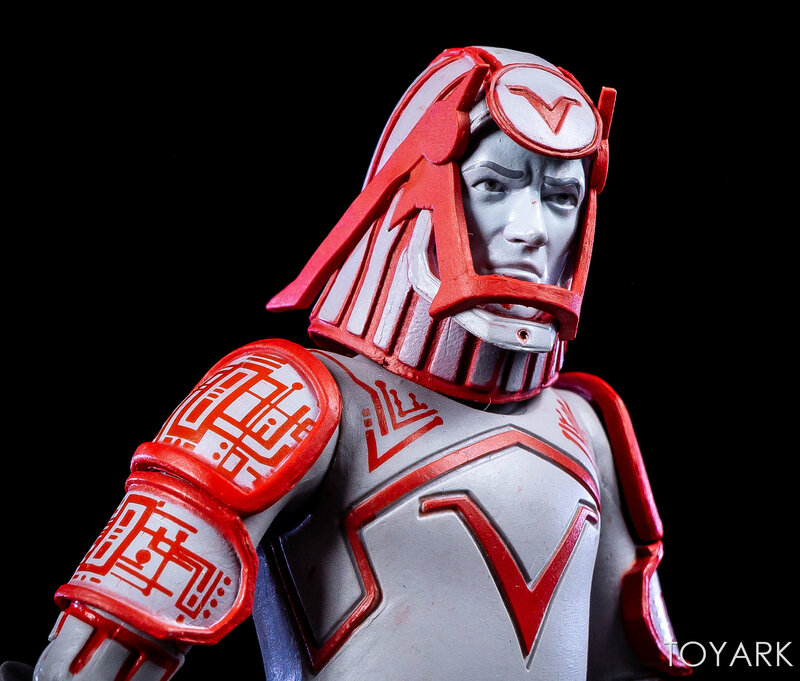 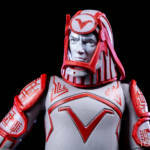 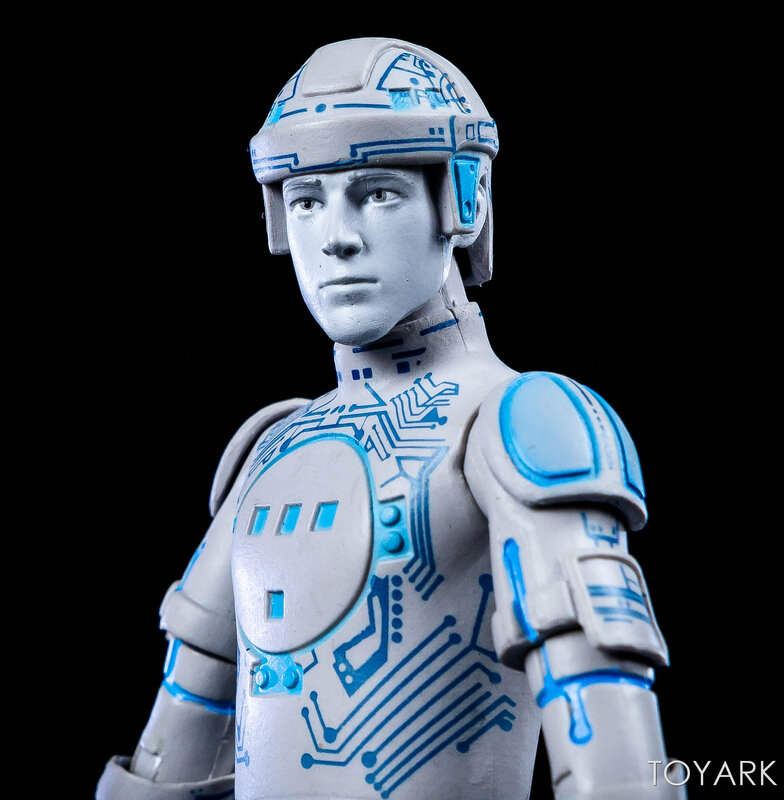 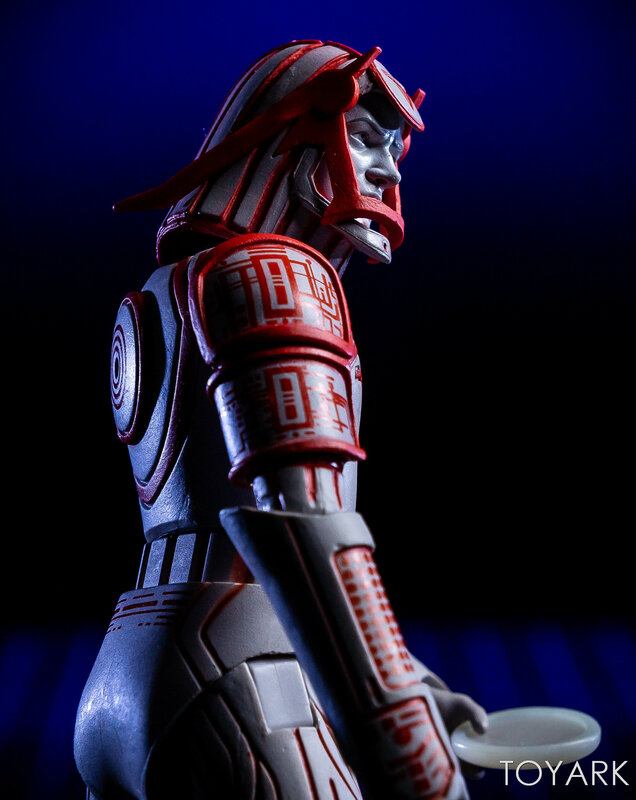 There have been some great statues and busts, and even really hard to find 1/6 scale figures of the original Tron and Kevin Flynn. 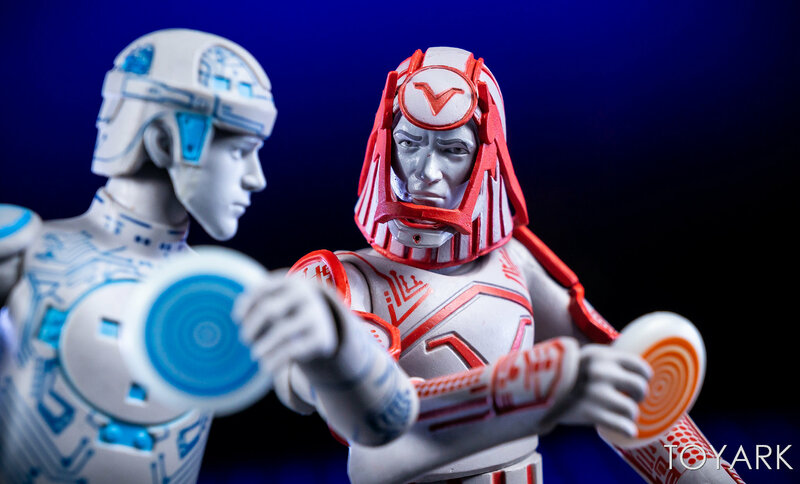 Pricing on all of those will prohibit most modern fans from ever owning them, so these two are a solid alternative. 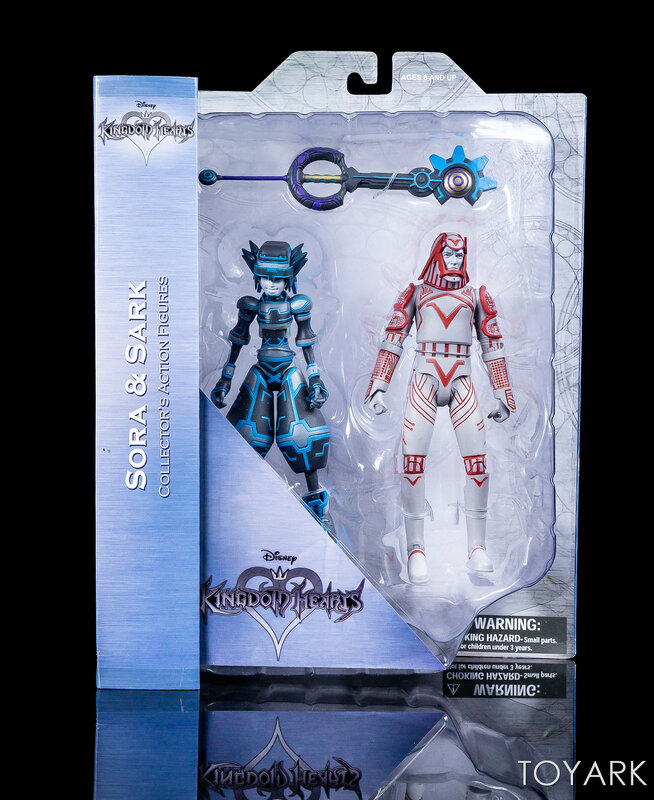 I mainly picked these sets up for Tron and Sark. 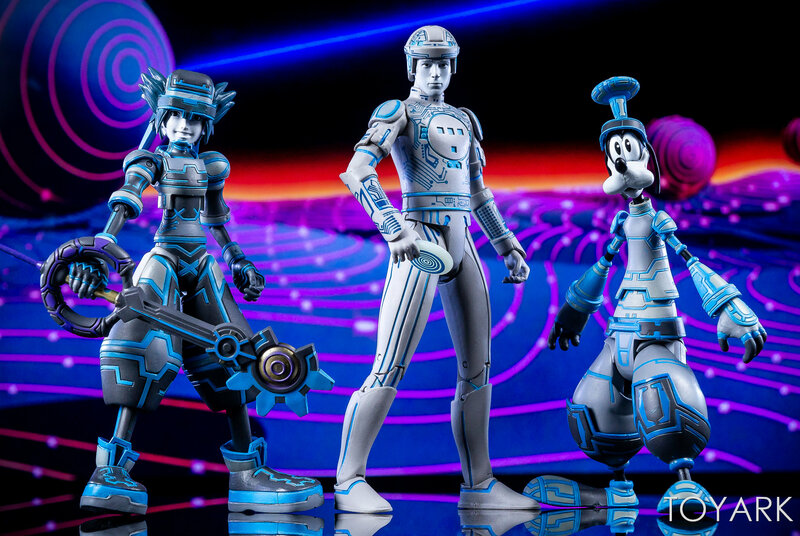 I don’t have any real attachment to the other figures, so those felt like bonus additions to me. 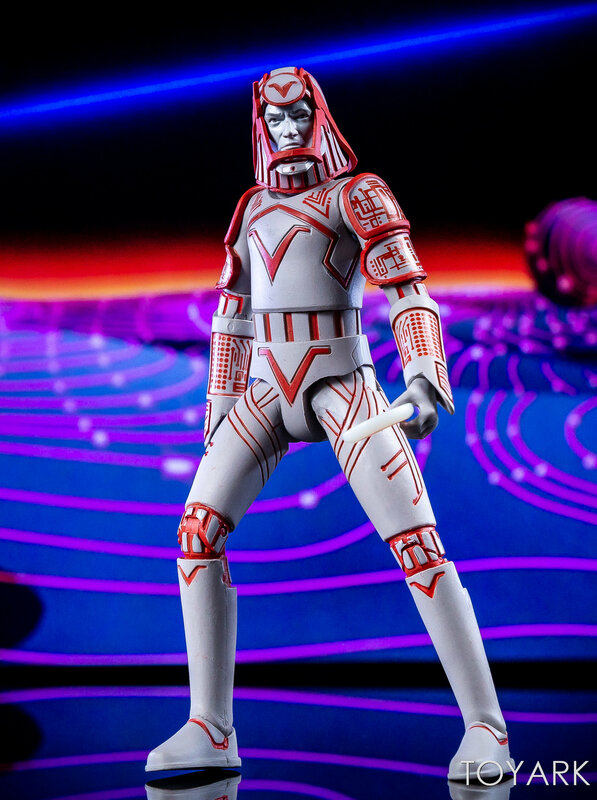 Getting four unique figures for $50 is a steal in this day. 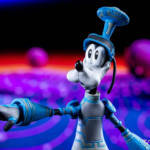 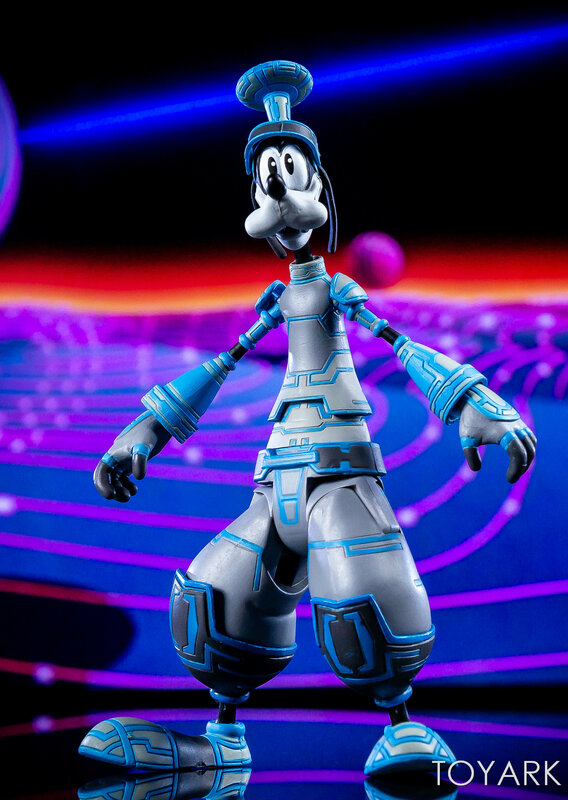 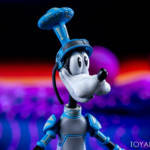 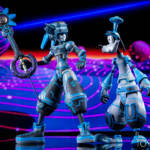 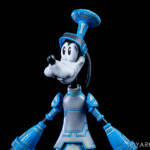 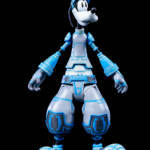 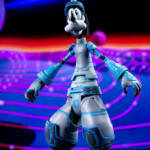 Before getting into the meat of the review, Tron and Sark, I have a few quick notes on Sora and Goofy. 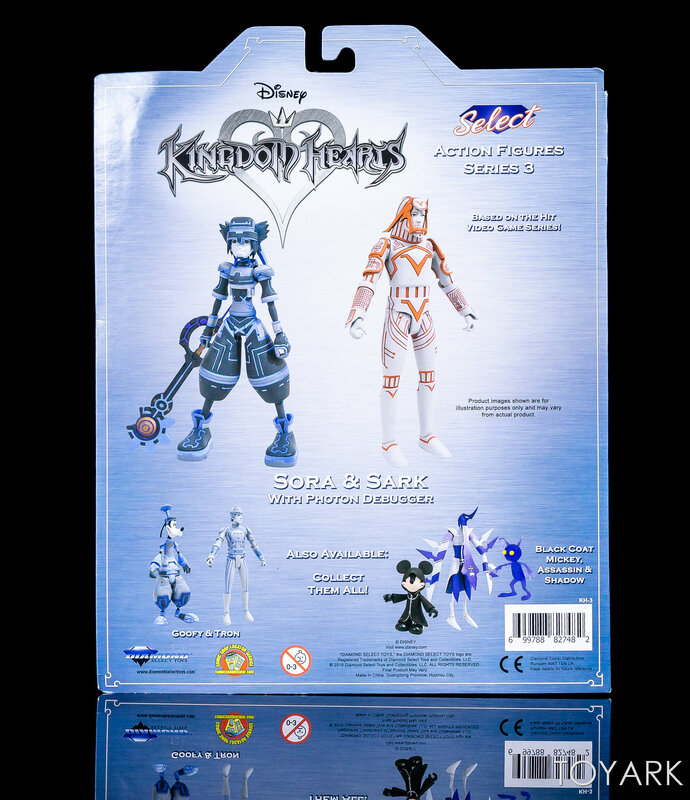 Sora is actually a pretty stellar figure for the size and price point. 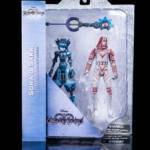 Decent articulation, can hold the Keyblade with both hands, and no glaring quality control issues. Goofy is a little less successful. 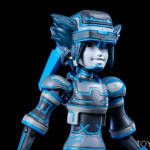 While the sculpt is spot on, he complete lack of elbow articulation makes posing him look a bit awkward. 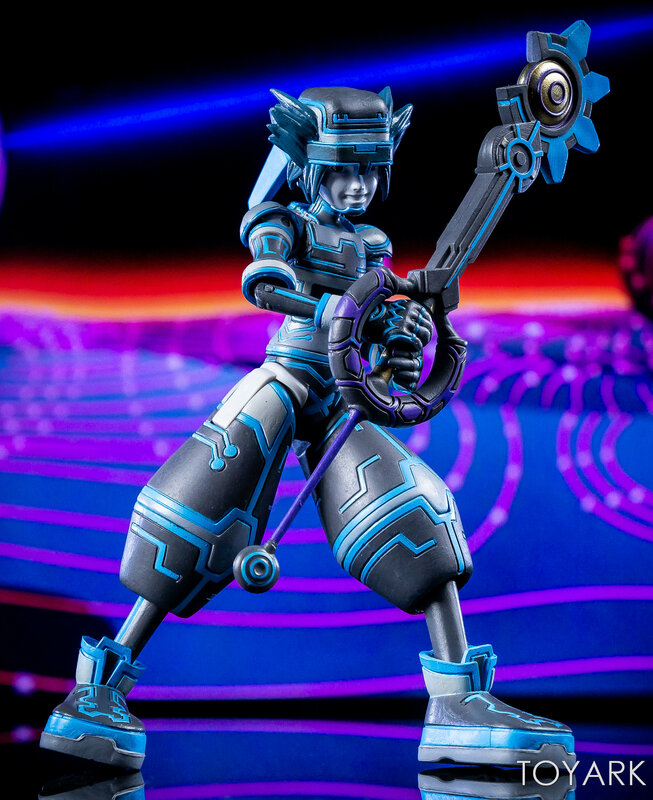 Just standing straight up though, he looks great with Sora and the gang. 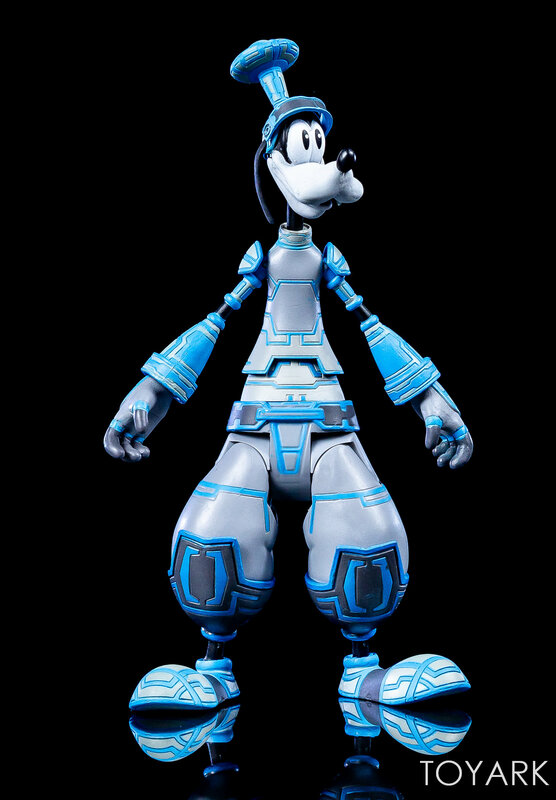 Paint is a bit hit or miss. 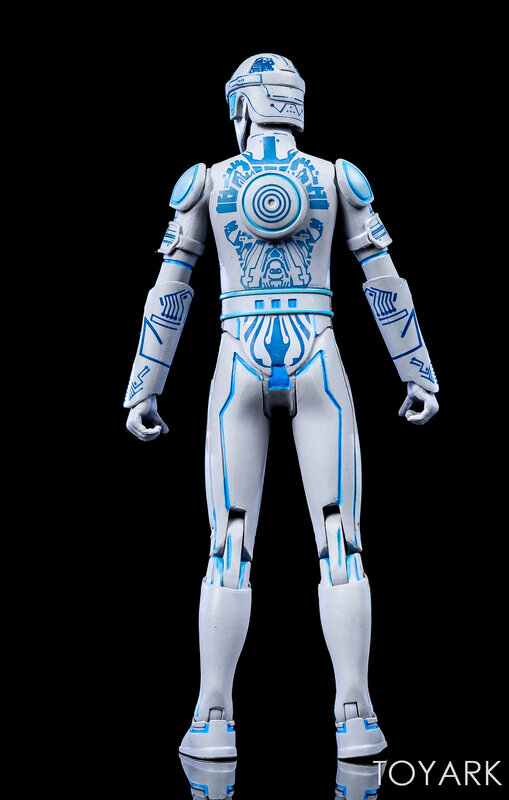 There’s some paint bleed and misalignment here and there, especially where the blue lines are concerned. Sculpting on the figures is outstanding, and are great representations of how they looked in the game. 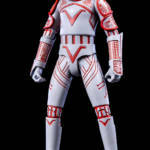 Articulation is great in some areas, such as the legs, while the arms are a bit frustrating. 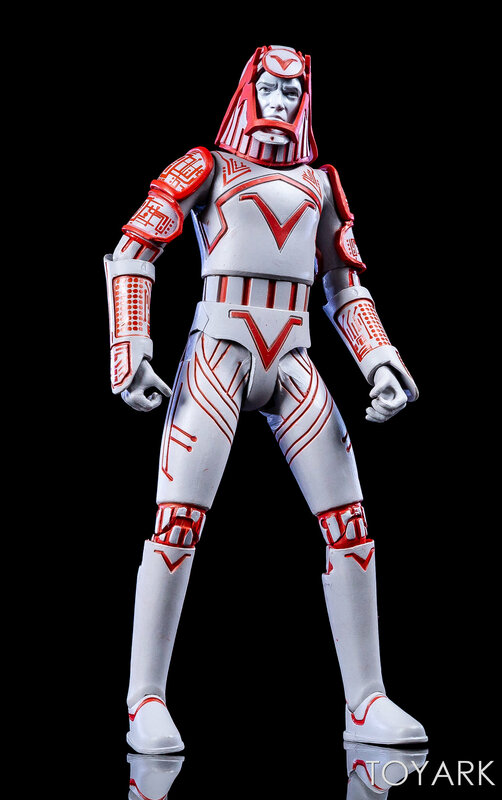 The legs have double jointed knees and ankle rockers by the feet. 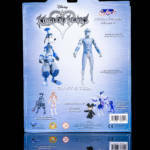 The placement of the elbow articulation, and the way the wrist gauntlets are sculpted, prevent any meaningful elbow movement. 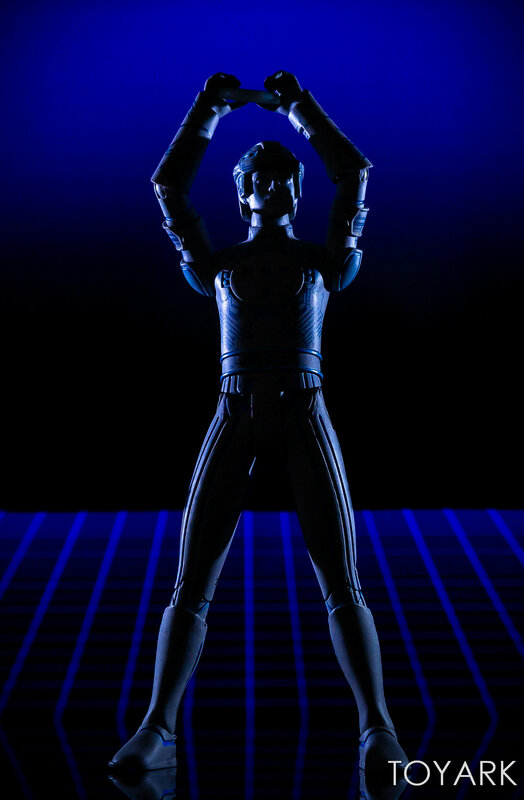 I wound up heating the plastic up with a hair dryer to get some of the poses seen here, but once the plastic hardened back up, I lost that bit of extra movement. 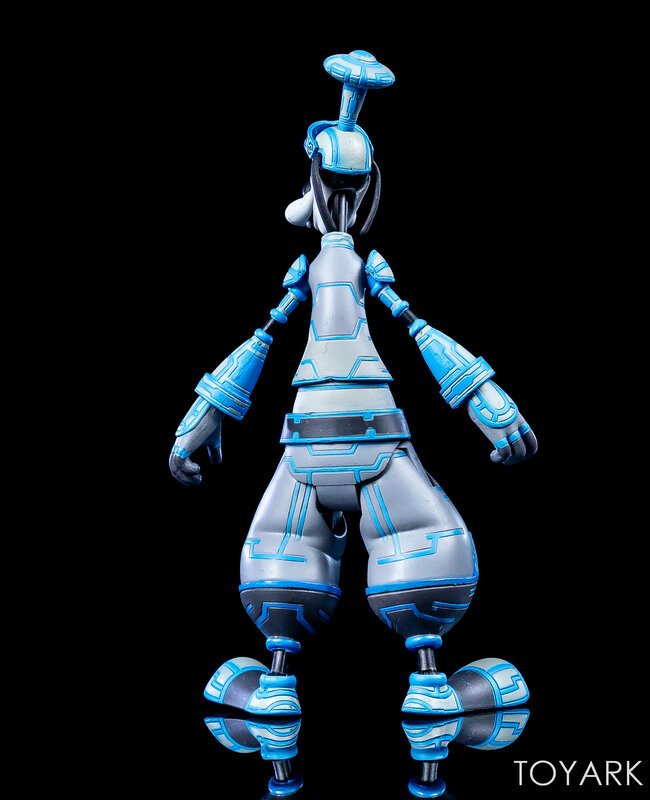 So while you can plant the feet perfectly in most dynamic poses, the arms are just kind of there. 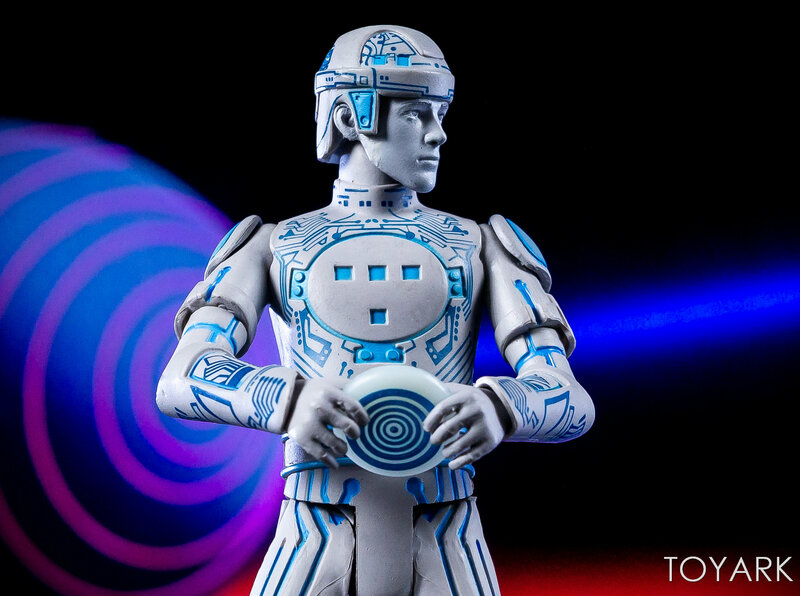 The hands are sculpted to perfectly hold Identity Discs, but none are included, which is a really odd omission. 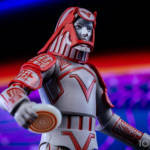 Well the discs are there, but sculpted on the back. 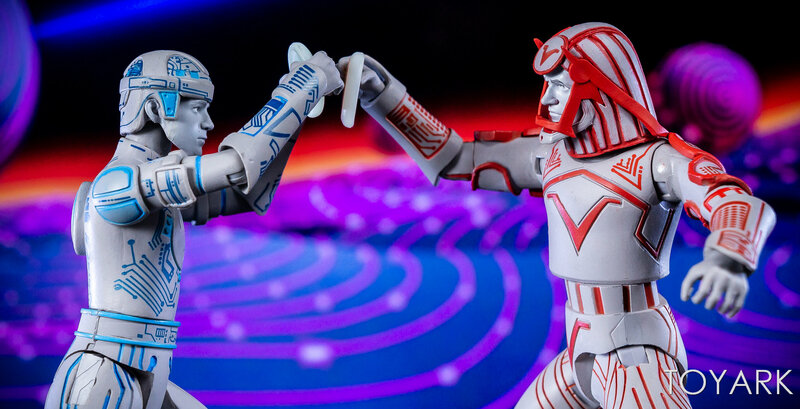 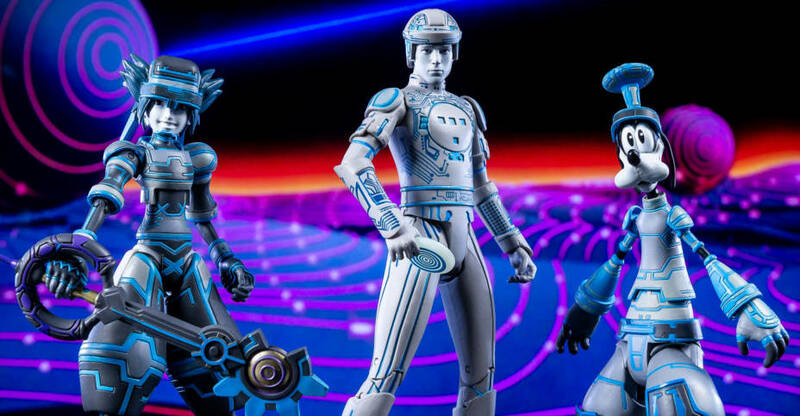 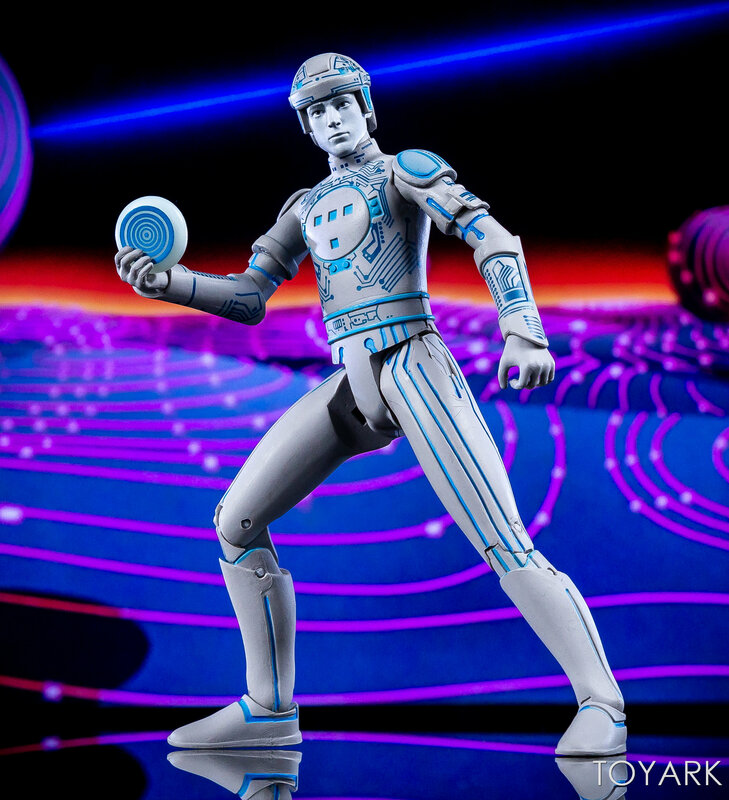 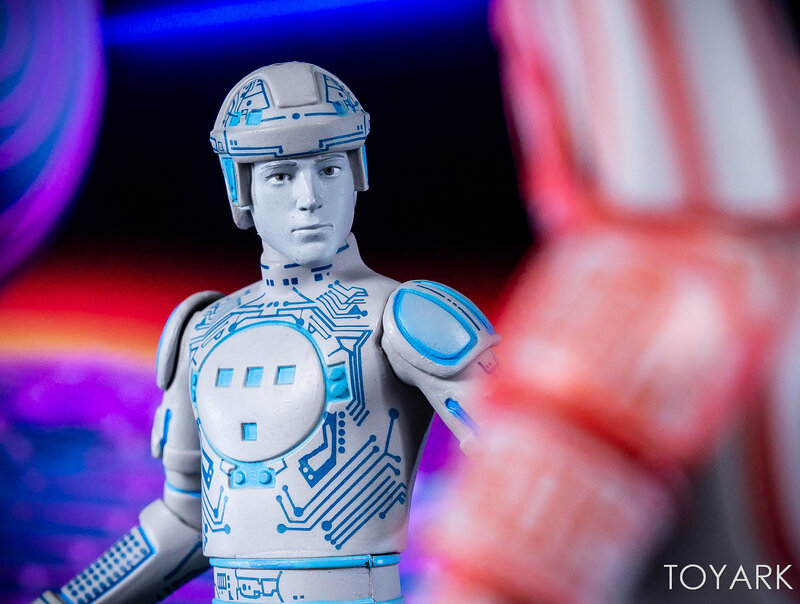 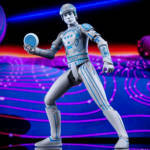 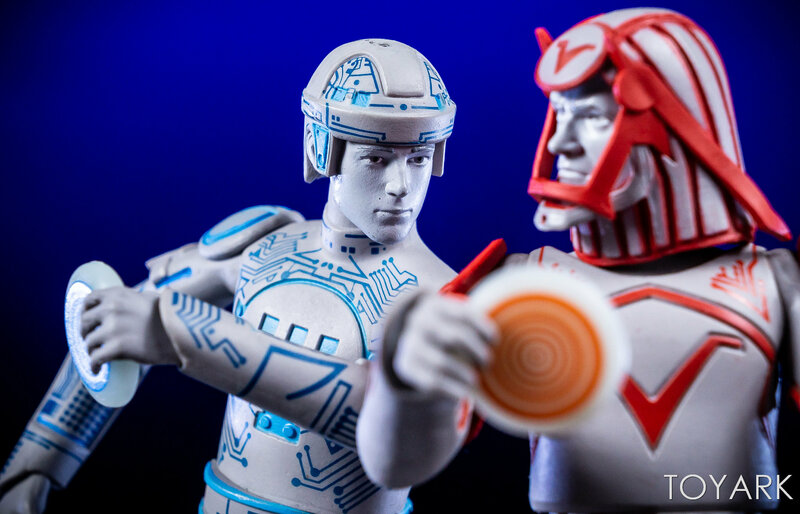 For this shoot, I used the oversized discs that were included with Medicom’s Tron and Sark Kubrik’s, which were actually perfectly sized for a 7″ scale figure. 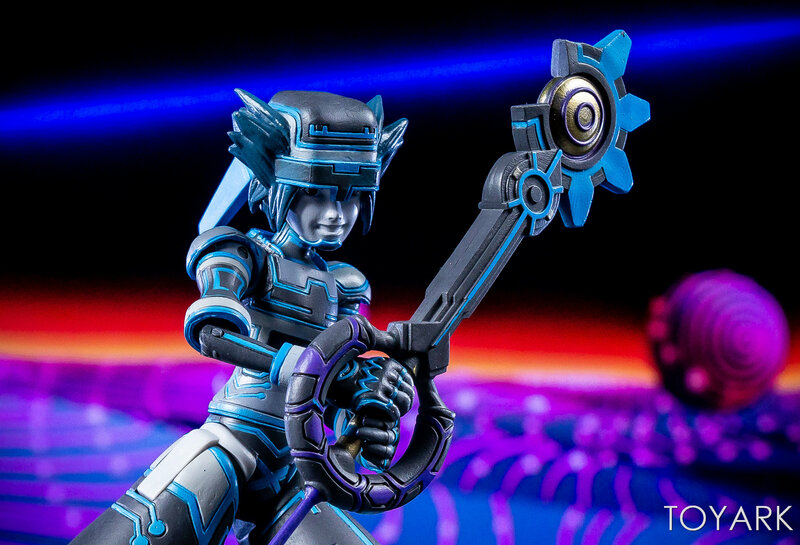 Paint work is fairly nice on these. 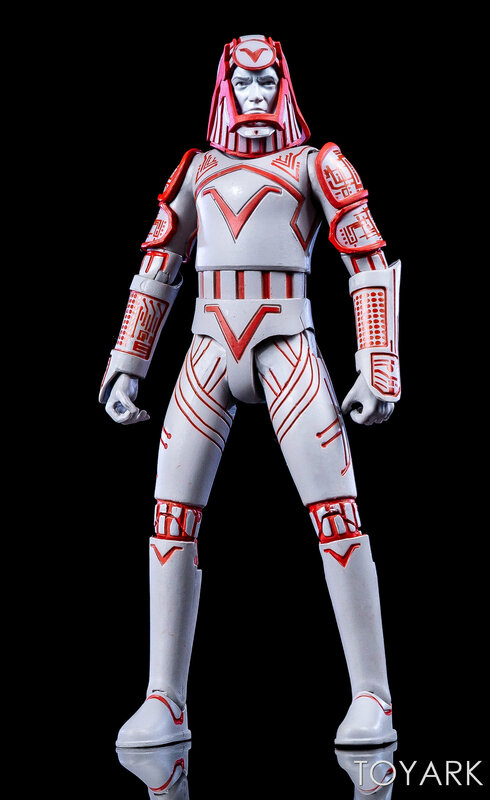 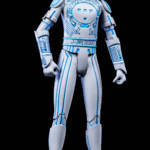 Colors are spot on, with a great light gray body and vibrant blue and red paint used for the circuitry effects on the costumes. 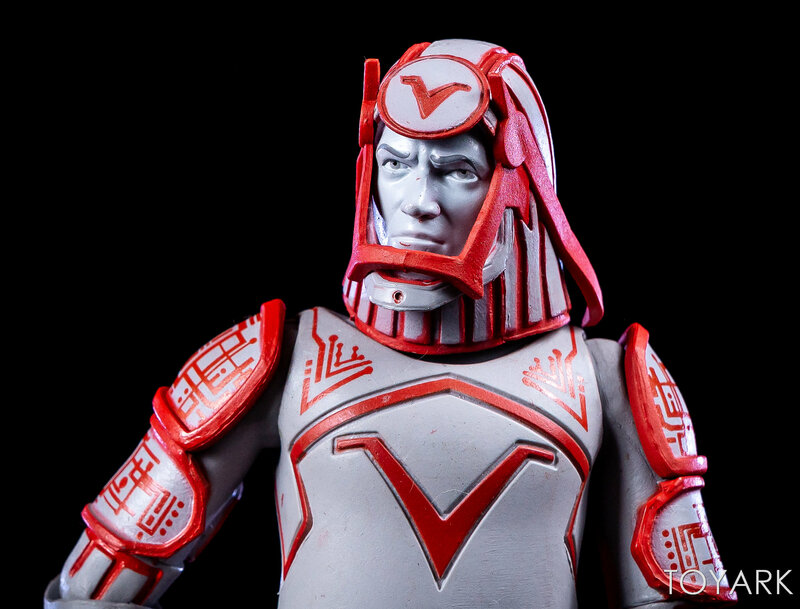 A few bits of sloppy paint application do pop up, but overall, they’re good. 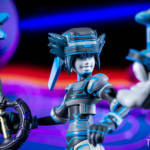 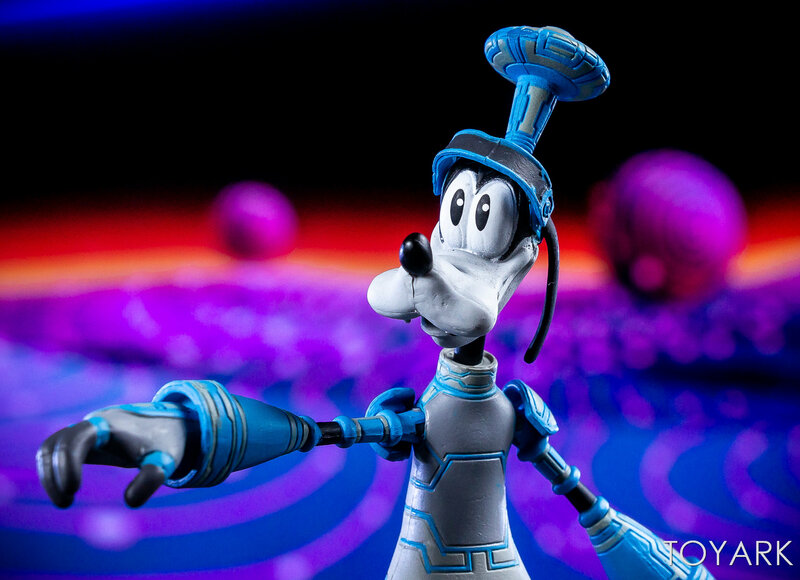 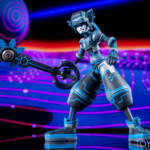 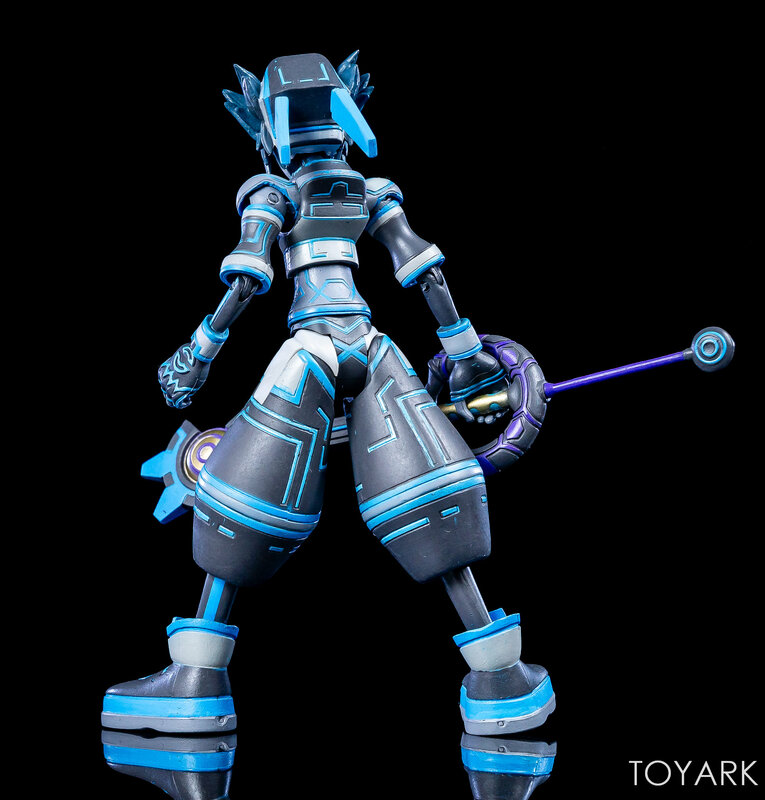 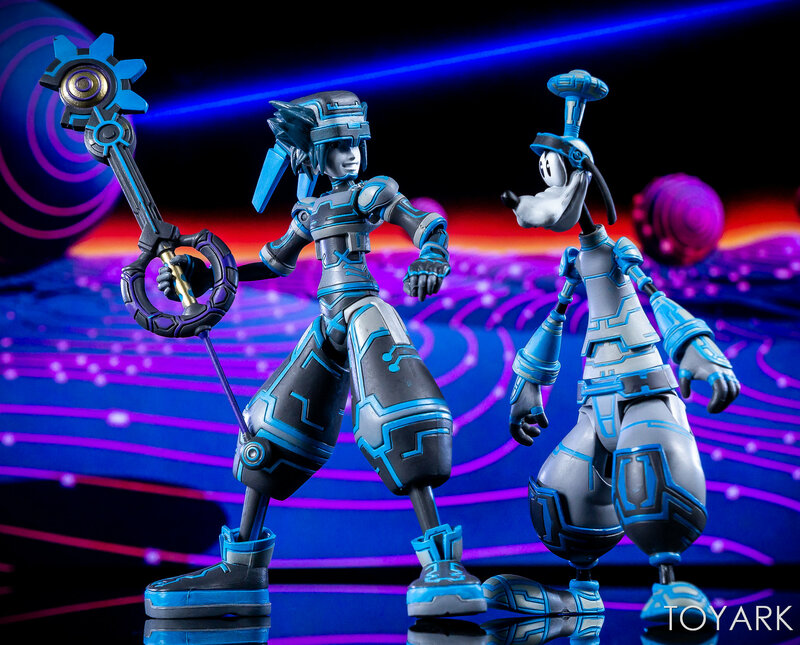 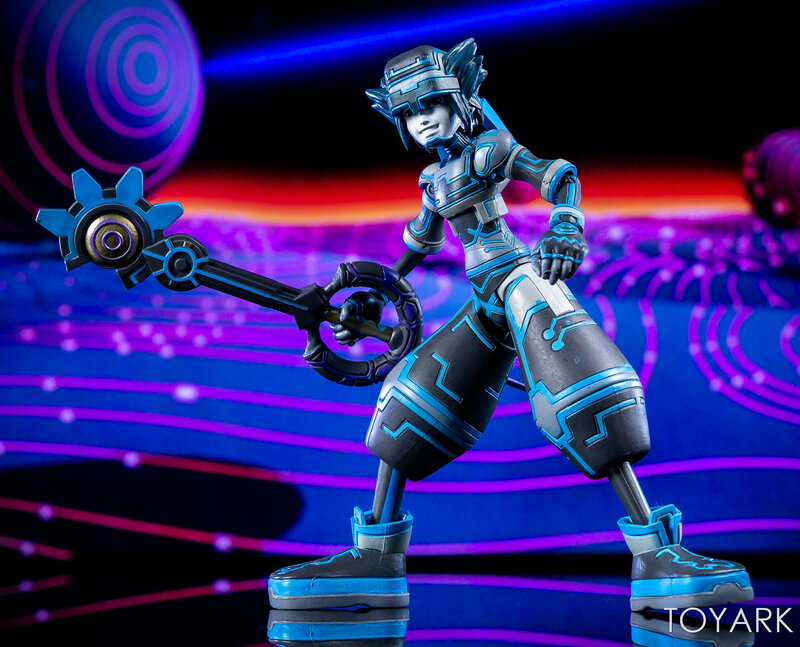 I am ecstatic to own great looking figures of Tron and Sark, and actually hope that DST finds a way to include more Space Paranoids themed Kingdom Hearts figures in upcoming 2-packs. 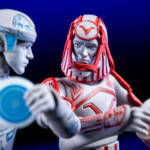 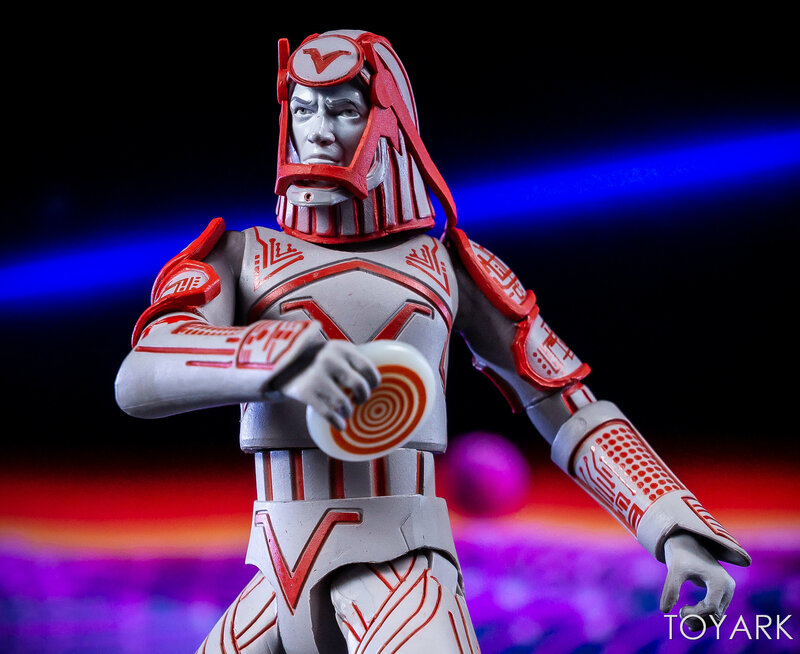 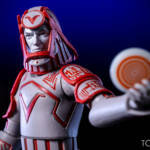 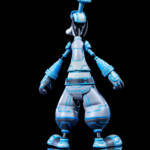 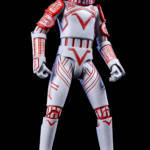 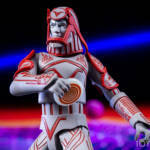 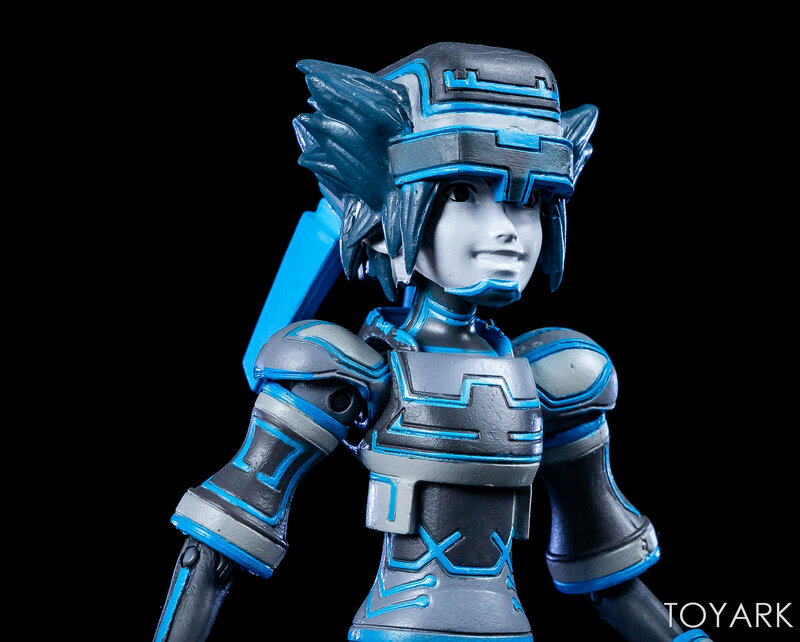 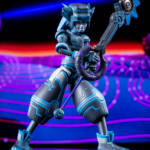 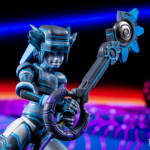 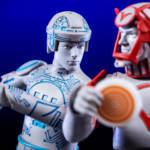 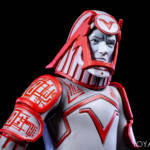 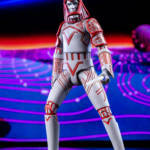 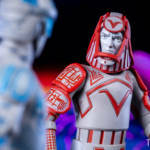 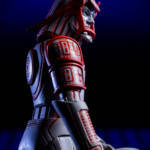 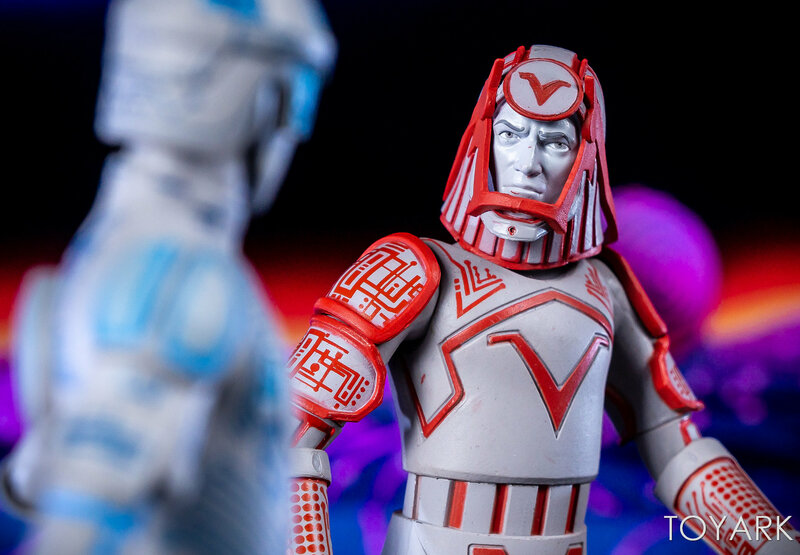 Limited elbow articulation on Tron and Sark, as well as a lack of discs are a bit disappointing. 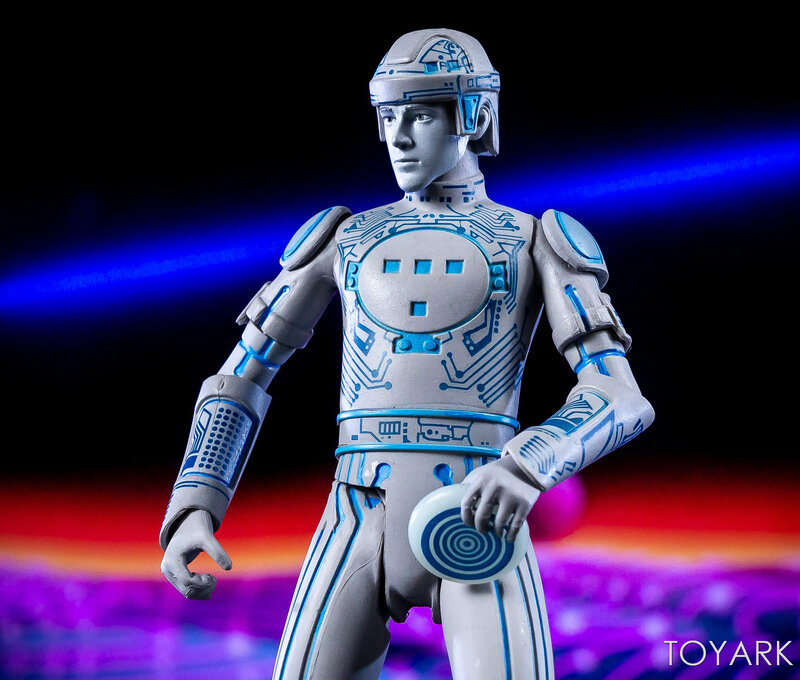 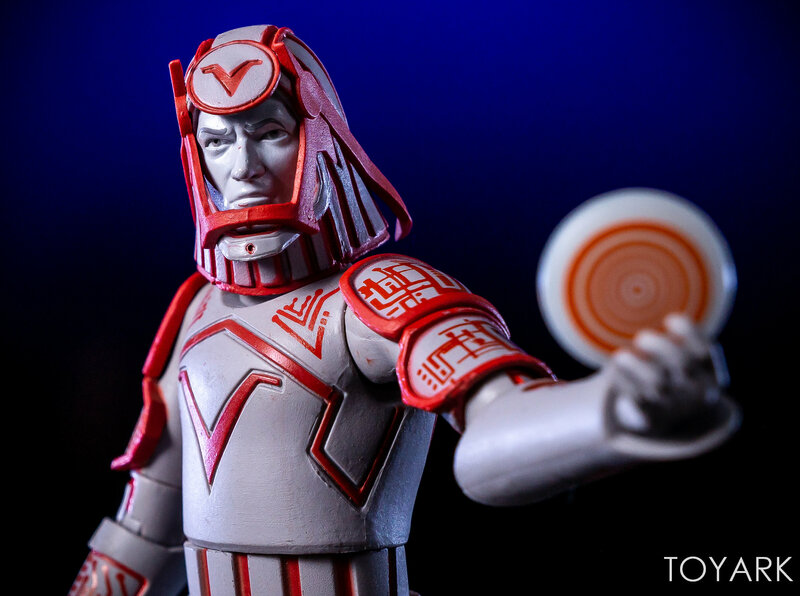 However, with classic Tron collectibles so rare these days, it’s hard not to recommend these. 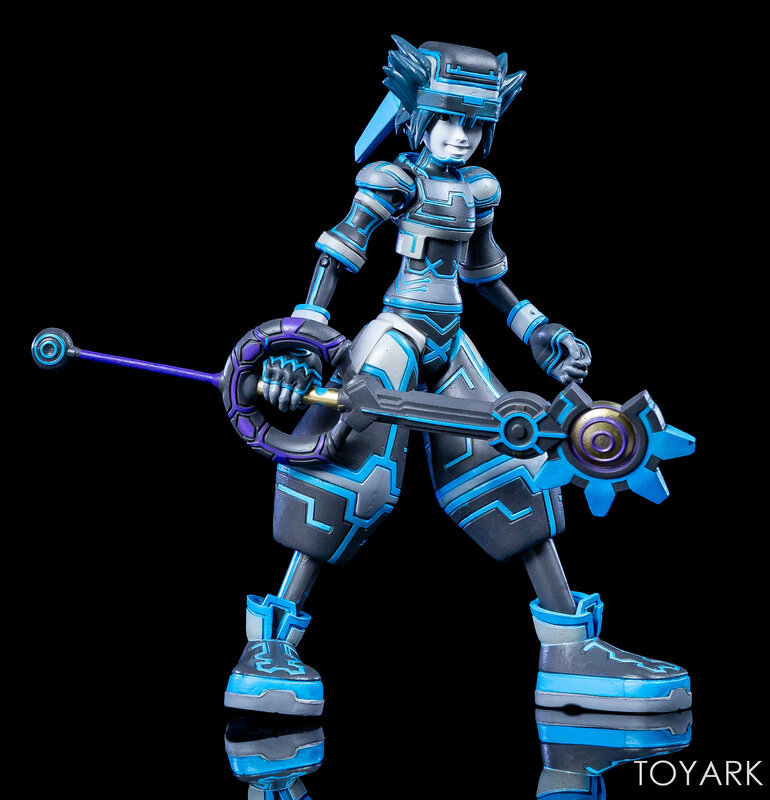 If you’re a fan of the game series, then you should be pretty pleased with the Sora as well. 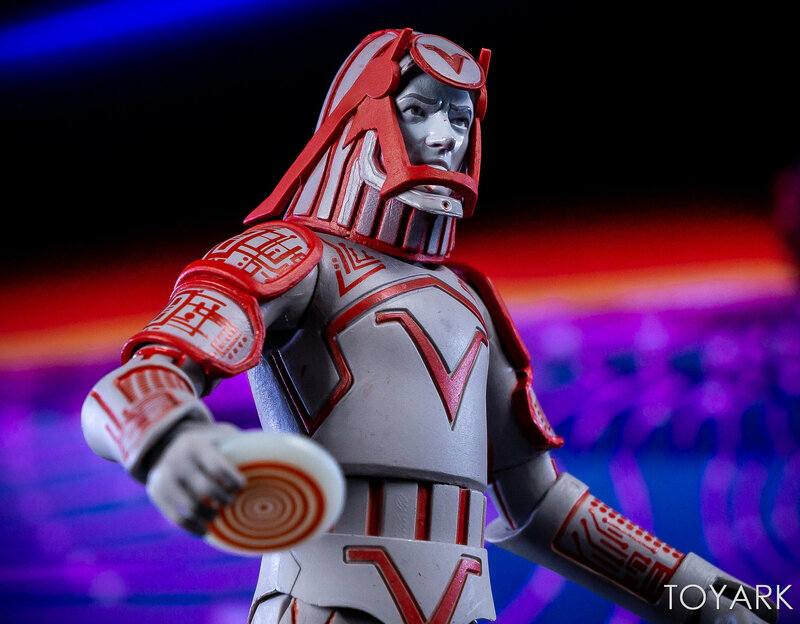 Check out some select photos below, and the full gallery after that.